This is the sequel to Writing An Interpreter In Go. We're picking up right where we left off and write a compiler and a virtual machine for Monkey. Runnable and tested code front and center, built from the ground up, step by step — just like before. But this time, we're going to define bytecode, compile Monkey and execute it in our very own virtual machine. It's the next step in Monkey's evolution. Two books for a reduced bundle price! Around 480 pages of content! 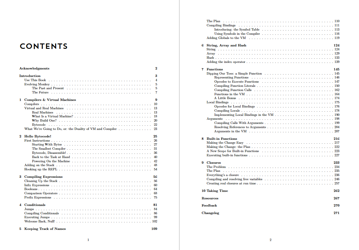 All the code presented in the book: runnable, organized by chapters, MIT licensed, including the test suite. Free updates: Once you buy them, you will receive free updates for the lifetime of books. Money-Back-Guarantee: I want you to enjoy this book. If you, for any reason, are not happy with it just send me an email. You'll keep what you bought and your money back. Current version: 1.1. Last updated: 20. March 2019. See changelog. Writing A Compiler In Go is the sequel to Writing An Interpreter In Go. It starts right where the first one stopped, with a fully-working, fully-tested Monkey interpreter in hand, connecting both books seamlessly, ready to build a compiler and a virtual machine for Monkey. In this book, we use the codebase (included in the book!) from the first part and extend it. We take the lexer, the parser, the AST, the REPL and the object system and use them to build a new, faster implementation of Monkey, right next to the tree-walking evaluator we built in the first book. The approach is unchanged, too. Working, tested code is the focus, we build everything from scratch, do baby steps, write tests firsts, use no 3rd-party-libraries and see and understand how all the pieces fit together. It's a continuation in prose and in code. Do you need to read the first part before this one? If you're okay with treating the code from the first book as a black box, then no. But that's not what these books are about; they're about opening up black boxes, looking inside and shining a light. You'll have the best understanding of where we're going in this book, if you know where we started. Our main goal in in this book is to evolve Monkey. We change its architecture and turn it into a bytecode compiler and virtual machine. We'll take the lexer, the parser, the AST and the object system we wrote in the first book and use them to build our own Monkey compiler and virtual machine … from scratch! We'll build them side-by-side so that we'll always have a running system we can steadily evolve. What we end up with is not only much closer to the programming languages we use every day, giving us a better understanding of how they work, but also 3x faster. And that's without explicitly aiming for performance. 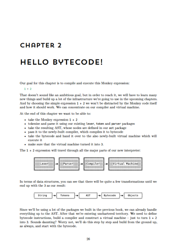 We define our own bytecode instructions, specifying their operands and their encoding. Along the way, we also build a mini-disassembler for them. We'll learn a lot about computers, how they work, what machine code and opcodes are, what the stack is and how to work with stack pointers and frame pointers, what it means to define a calling convention, and much more. build frames into our VM to execute functions with local bindings and arguments! The implementation of Monkey we build in this book is markedly different from the tree-walking interpreter we built in Writing An Interpreter In Go, but Monkey stays the same. Yes, we'll compile all of that to bytecode and execute it in a stack-based virtual machine. That not only works, but is also tremendous fun to build. "Longing for implementing a compiler, but lacking the guidance? Then this book is for you. 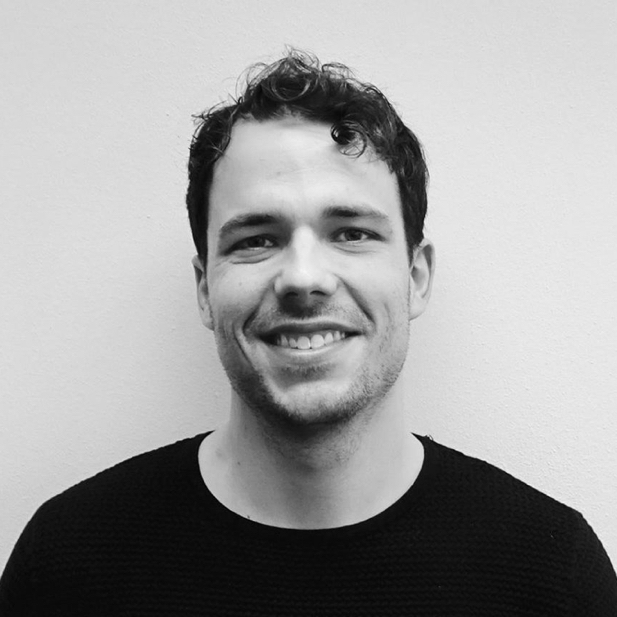 Thorsten offers invaluable mentorship for tackling the multiple challenges that arise when writing a single-pass compiler and a virtual machine to execute the resulting code, in a pragmatic and test-driven approach. After going over this book, you'll certainly feel inspired to go further, such as extending the compiler with code transformations of your own." "Making is understanding. 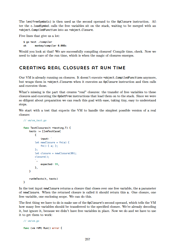 The book carefully teaches us how VM-backed interpreters work, while building our own compiler and virtual machine. Written in a TDD style, a step-by-step manner and with a humane tone. I've enjoyed the wonderful journey!" "I think that it's one of the best self-published books on the market I've ever read, not only in Go area, but whole technical market." "Finally, a compiler book that you don't have to fight each and every page to get through! Other books burden the reader with so many details and subtleties that you'll never make progress. 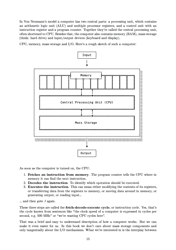 But if you want to make an actual compiler, read this. I'll definitely be recommending this to my students." "If you are scared of Dragons but want to understand how compilers work, this book is for you. Not only does it make a daunting subject approachable but it also make it fun and enjoyable." "The Monkey books are everything I've ever wanted in programming books, but could never find until now. They are a real labor of love and it shows on every page. 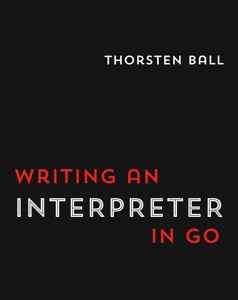 The books are fun to read and showcase the Go programming language, but what makes them extraordinary is the fact that they're completely focused on giving the reader an accessible, conceptual understanding of the implementation of interpreters and compilers. It's hard to overstate just how rare yet extremely valuable that focus on understanding is in an educational book." "Compilers was the most surprisingly useful university course I ever took. Learning to write a parser and runtime for a toy language helps take away a lot of "magic" in various parts of computer science. I recommend any engineer who isn't familiar with lexers, parsers, and evaluators to read Thorsten's book." "Thorsten took a topic that is usually very dry and CS heavy and made it accessible and easy to understand. After reading this book I felt confident enough to write Plush, the templating language I’ve always wanted in Go! If you have yet to read Thorsten's book, I can't recommend it enough. Please go and buy it!" "Great book. I loved it because everything is built by hand, so you get to think about all the details, and it does so in a gradual way, which is didactic. The implementation itself is also nice and simple 🙌"
"This book demystifies and makes the topic of interpreters approachable and fun. Don't be surprised if you become a better Go programmer after working your way through it." "Thorsten's writing style is fun and easy to understand with detailed explanations and even better code. Even if you've written an interpreter before, this book is a great refresher. I picked it up as a project to learn Rust, translating the example Go code into Rust as I read through. Lexers, parsers, and interpreters are such a fundamental part of CS, these skills are valuable to more than just programmers implementing programming languages. As a project for picking up a new language, this book is perfect because it only requires the standard library and has extensive test driven development, which means you get quick feedback as you go along. 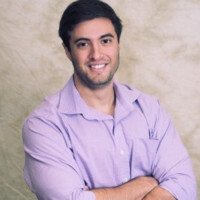 I highly recommend it for programmers wanting to learn more about lexers, parsers, and interpreters or Go programmers picking up a new language looking for a project to learn through." Do I need to read the first book, Writing An Interpreter In Go, before this one? 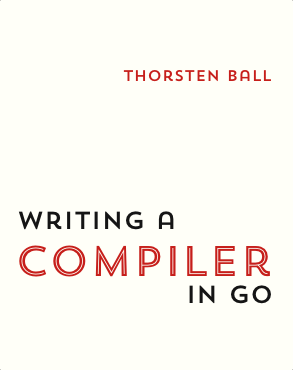 The slightly longer version is this: Writing A Compiler In Go is the sequel to Writing An Interpreter In Go and starts right where the other one stopped. It also uses the code from the first book — the lexer, the parser, the AST, the object system — and extends it. If you're okay with treating the code as a black box, then no, you don't need to start with the first book. But that's not what I recommend or what these books are about; they're about opening up black boxes, looking inside and shining a light. You'll have the best understanding of where we're going in this book, if you know where we started. Can I buy a bundle of the eBook and the paperback? I'm sorry to say it, but no, I cannot bundle eBooks with paperbacks. It's not that I don't want to (I do!) but I can't. The eBooks are sold and distributed through Gumroad, where I have a lot of influence on the process, but the paperback editions are being printed, sold and shipped by Amazon and I don't have many options there. I can't tell Amazon to bundle digital files with the paperback. Sorry! But if you're purchasing the paperback through Amazon.com, maybe this helps: I've enabled Kindle MatchBook, which allows you to purchase the Kindle version of the books for $2.99 if you've previously purchased the paperback edition. I found a typo/mistake/error in the book. What now? Take a look at the changelog to see whether I've already fixed it. If I haven't or you're not sure I have, please send me an email to me @ thorstenball.com — I really appreciate it! Sign up to my personal newsletter and I'll email you when I have updates on the book or produced something else. I won't bother you, you can unsubscribe at any time and your email address stays with me. In my spare time, though, I like to do what I call recreational programming, where I dig deep into various topics and their codebases, taking them apart, recreating them in my own code, trying to peel away layers of what seems like magic, hoping to come out the other end with a better understanding of what it is that I do when I program. For the last few years, the two topics that kept my attention are systems programming and programming languages: interpreters, compilers, virtual machines, JIT compilers, assembly language – I can't get enough of it. Writing an interpreter from scratch and writing a book about that has been one of the most wonderful and satisfying things I ever did as a programmer. It has been so much fun, in fact, that I couldn't stop doing it, which is why you're looking at the next book. You can follow @thorstenball on Twitter to know what I'm up to. If you want to know more about me, visit my blog and website or take a look at my GitHub profile.